WHILE it’s always healthy to challenge conventional wisdoms, Brian Monteith (“Romance clouds our judgment of Borders Railway plan”, 15 February) should make sure first that he gets his facts right. 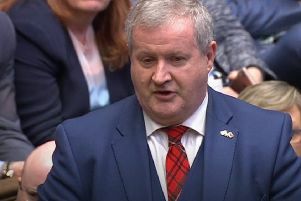 His suggestion that the Borders Railway “is often slower than simply taking the car or the pre-existing public transport provided by buses” is risible. For those who depend on public transport (and there are still a lot in the Borders towns) the train from Gala to Edinburgh has brought an utter transformation – with a journey time of around 50 minutes compared to a minimum of 85mins on the X95 bus. And one of the most striking features of the new railway is that the car park at the Tweedbank terminus (with its 241 spaces) is regularly full to overflowing – hardly a disappointing outcome. There remains a degree of uncertainty about the exact basis of patronage figures announced by Transport Scotland, but there can be no doubt that usage of the Borders stations has been enormously encouraging. In the first 14 weeks of service, 28,343 single trips were made to/from Stow station compared with the 5,843 annual return trips forecast in the 2012 Final Business Case for Transport Scotland. For Gala the figures were 150,344 in 14 weeks against the forecast 23,431 for a year, and for Tweedbank 216,916 against 21,621. The closure of the Waverley route was a gross injustice, leaving the Borders as the only region of Britain without a rail service for 46 years. The opening of the Borders Railway has at least partially put right one of the great wrongs of the old model of London-based transport policy.